Passion for Made in Italy quality, edgy sense of refinement and keen attention to detail mark the partnership between LC23 and Diadora. The idea behind the collaboration pivots on capturing the most iconic elements of both brands in a single unique capsule where LC23’s sportscasual energy with sartorial flair meets the distinctive Diadora heritage. All to express the finest craftsmanship of clothes and shoes that are “Handmade (with love) in Italy”. 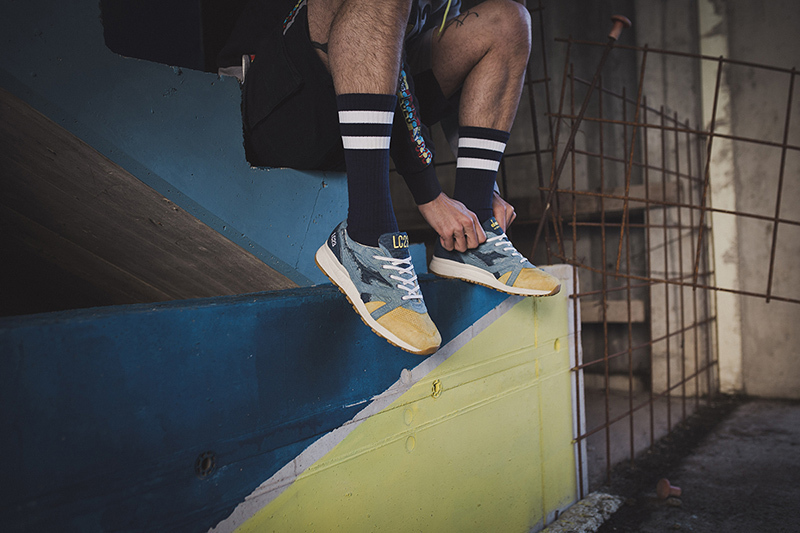 The LC23 x Diadora collection features total outfits that reflect the DNA and values of the two brands, translating the same into items that symbolize this duality also in the choice of patterns, fabrics and particulars. So, from the fusion of the two brands come three pieces of clothing – hoodie, shorts and polo – plus fresh takes on two of the most representative shoes in the Diadora archives: B.Elite Socks and N9000. The hoodie is a perfect nod to both brands, for one half is all about Diadora and the other is indicative of the LC23 style. The shorts too are split in two equal parts, whereas the colour-block polo presents an exclusive material mix referencing the brands’ exemplary fabrics all in one. 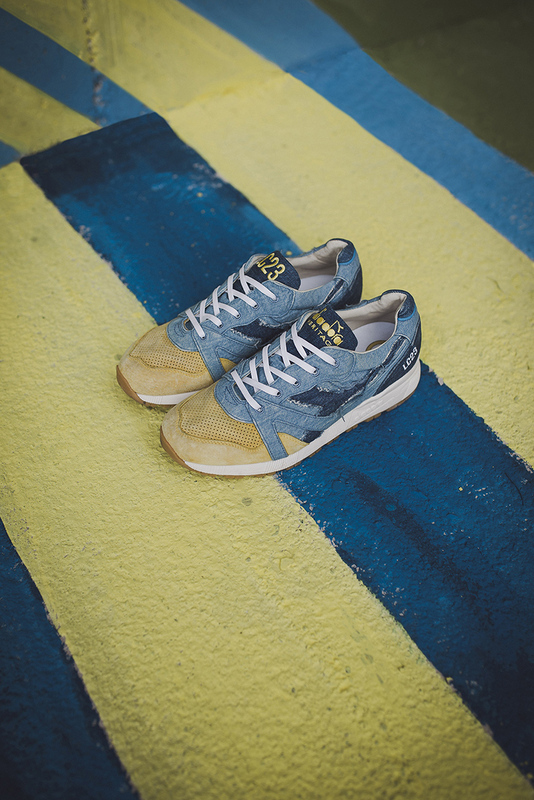 As for the shoes – strictly Made in Italy – and inspired by the crests of the Italian provinces where the two brands are based, Bari (LC23) and Treviso (Diadora), the N9000 and a B.Elite Socks come dressed in blue denim and yellow suede. Also, embroidered on the back of the shoes are the initials of the two provinces (BA and TV) in the same type of letters that were on the country’s old license plates. Releasing January 19 at selected retailers such as hanon.